I feel like pears are a neglected fruit, do you eat them? But I do think pears are gaining in popularity, I see pear martinis and even pear applesauce. Pears are a great snack because they are low in sugar and high in fiber. I feel so full after eating a pear because of all that fiber! Pears contain Vitamins A, C, K, B2, B3, B6, folate, calcium, magnesium, potassium, copper, and manganese. The flesh of the pear contains many nutrients such as antioxidants, anti-inflammatory flavonoids, and potentially anti-cancer phytonutrients (lowering the risk of gastric and esophageal cancers). Flavonoids help improve insulin sensitivity which means they can help lower risk of type 2 diabetes. It's easily digestible that's why its recommended as one of the first fruits to give a baby. 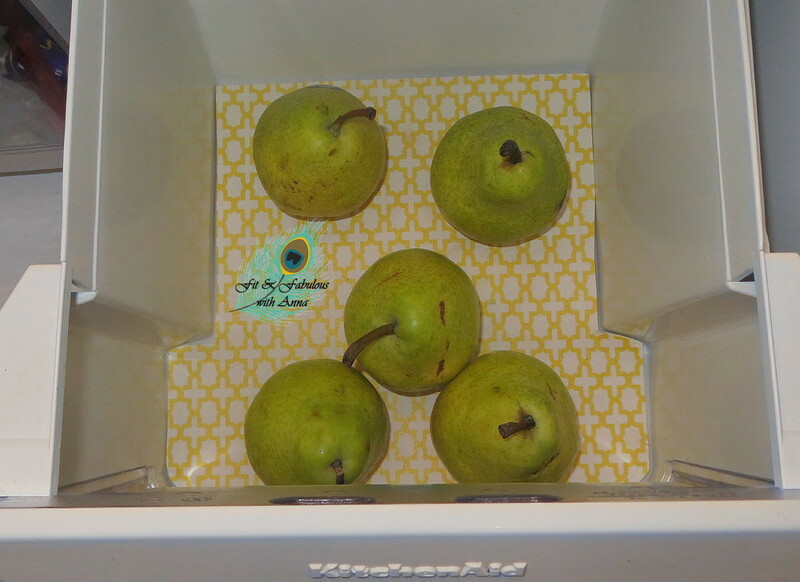 When shopping for pears pick ones that are hard so they can ripen at home. You can always throw them in a paper bag to ripen faster. They should be kept on the counter until ripen, then you can keep them in the fridge so they last a few more days. Don't store them next to onions or garlic because they absorb smells easily. Make sure they have space between pears otherwise they ripen too fast. Every week I always buy berries for breakfast and 5 of one fruit for my afternoon snack at work. 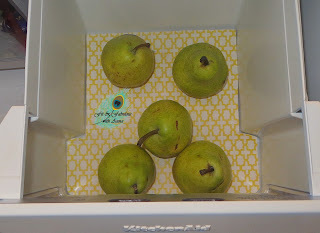 This week's fruit selection was pears! 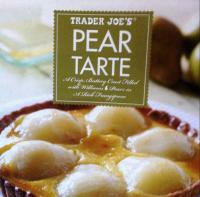 Have you tried Trader Joe's pear tart? It's absolutely delicious so I had to find a sugar free version and found this recipe that I can't wait to try. In addition to baking pears you can serve them raw by slicing the pear in half, scoop out the core with a melon ball cutter, and put in the center ricotta mixed with a little honey. Or you can slice a pear up and throw it into a spinach salad. 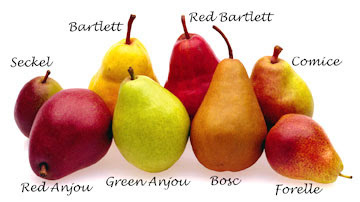 Which is your favorite pear- bosc, anjou, or bartlett?